There are certain perks to forgoing a heavier, more defensive helmet and choosing something a little bit more unrestrictive. This Auxiliary Infantry B Helmet, for instance, is a happy medium between offering good protection and unrestrictive wear. 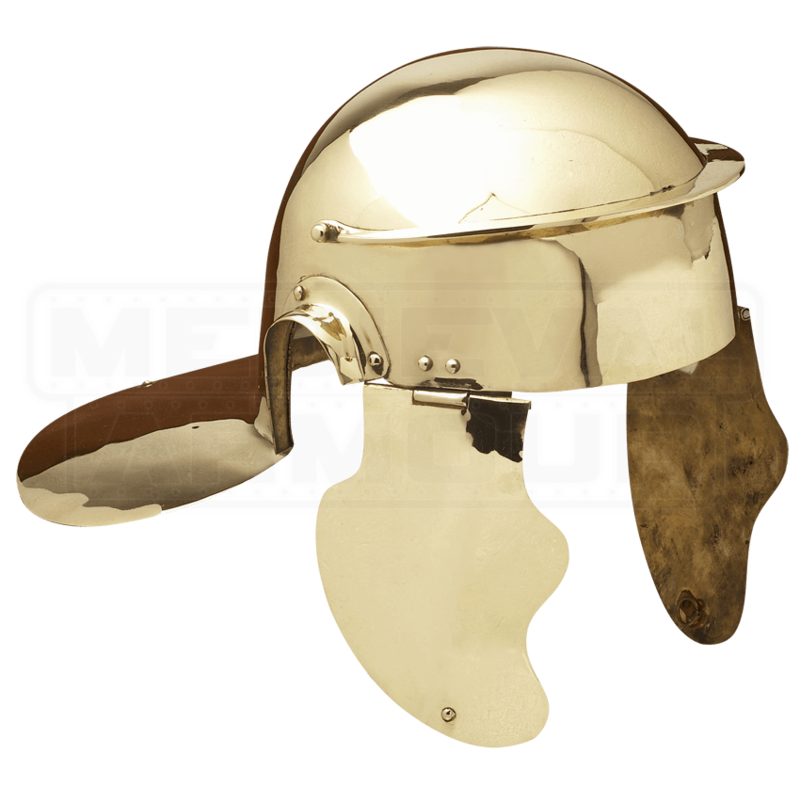 This helmet is a close replica of the classic Roman helmet, featuring a rounded crown that works wonders for diverting the force of a blow down off the center of the skull, while also featuring a shorter-than-normal visor along the front that still helps to keep debris and blows from falling into the wearers face. Hinged cheek protectors hang down from the sides, offering additional protection to the wearers face while keeping their eyes and ears almost completely unobstructed. Lastly, a long flap in the back helps to protect the wearers neck, should they suffer an overhead attack from behind. 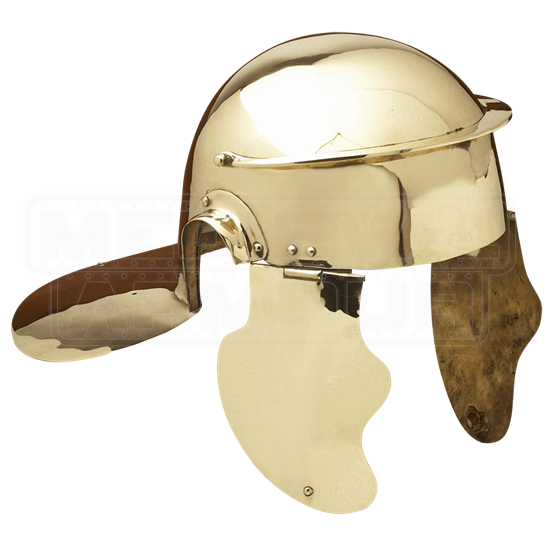 This helmet is made from quality metals and features a finish similar in appearance polished brass metal. Don this Auxiliary Infantry B Helmet and other appropriate attire, and you will be ready to march into battle beside Roman troopers and legionaries alike, to battle the Empires enemies wherever they rise.